Home / Projects / Stove Fitter Paignton Latest Projects NEW! Contemporary and elegance this Scan 66-2 pedestal is a tempered glass log retainer, door handles and controls. 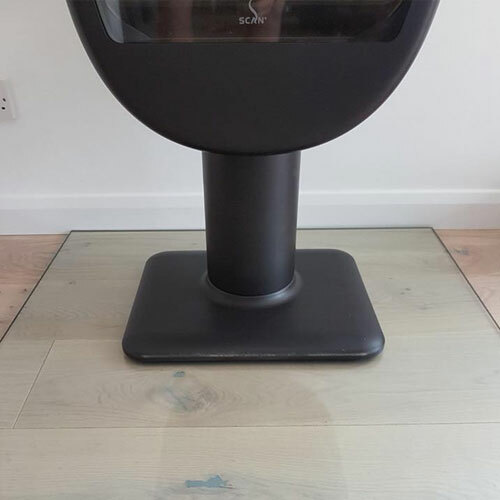 Installed with Stovax FXQ150mm twin wall flue system and glass hearth. stunning! Other models available with varying bases. Also in white enamel. Live in the Paignton area and looking to start a project similar to this? You're in luck! 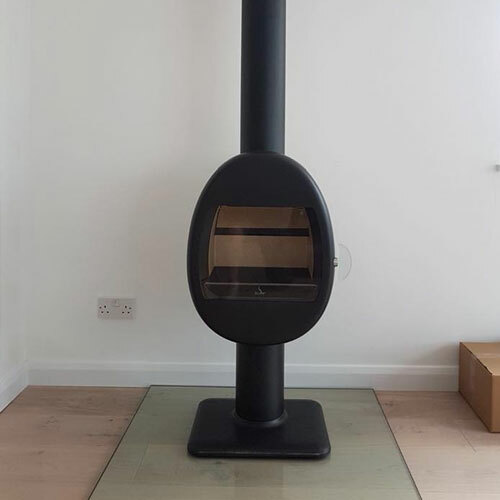 Our stove fitters are able to provide you with the perfect services to ensure that you have everything you need. 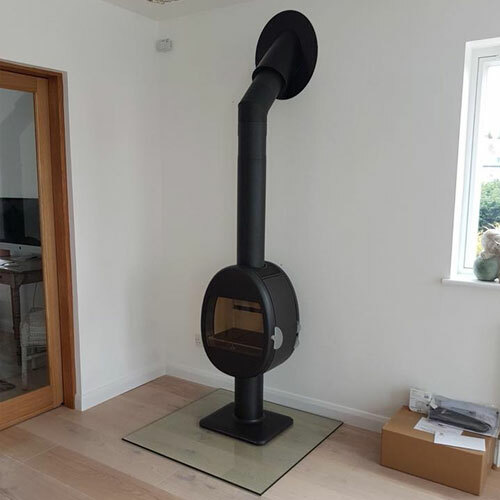 From stove fitting to brickwork, our team will be able to provide you with them all. 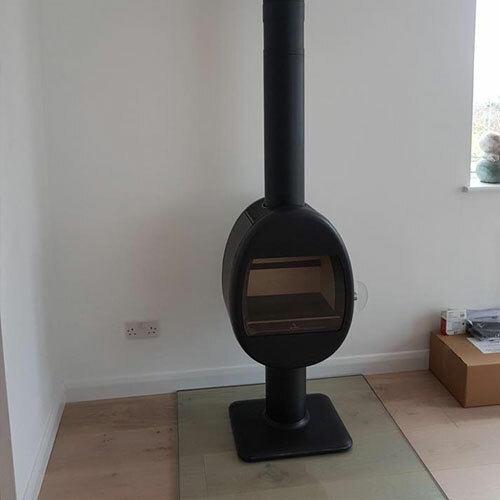 Across Paignton and the local surrounding areas, our team is highly trained and HETAS approved stove fitters works to offer the very best stove services. If you're still after more information, please browse through our website, give us a quick call or visit our comprehensive showroom here in Dawlish - just a short drive from Paignton.